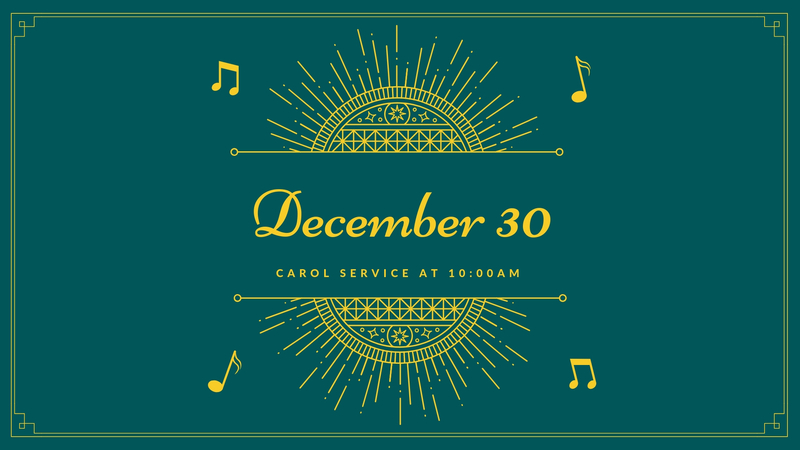 Join us Sunday morning December 30 at 10:00 AM for a special combined service of Christmas Carols! We'll sing, pray, learn and worship together at this special service time to end the year. This special service at 10:00 AM will replace our normal 9:00 & 10:30 services.